Transportation: There’s no Metro station here, but there is excellent bus service that connects with the Pentagon, Ballston, and various stops in DC. Several bus lines form the PikeRide, a bus network that connects the area. If you’re biking, you can hop on the W&OD trail or Four Mile Run right at Columbia Pike, and parts of the area are becoming very walkable. And of course, it has to be mentioned that the area’s transportation will be greatly improved by the Columbia Pike Streetcar, which is in the preliminary engineering phase now. The streetcar is projected to connect the Pentagon with Bailey’s Crossroads along Columbia Pike, leading to improved transit access and generally revitalizing parts of the corridor. 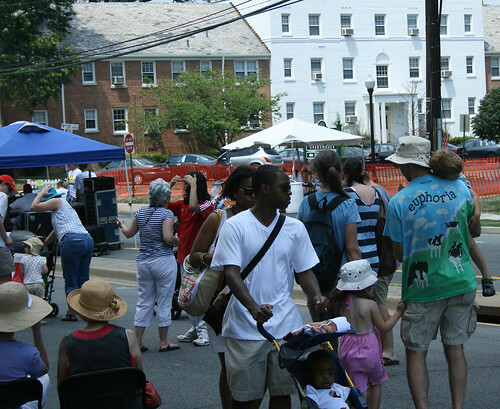 The Columbia Pike Farmers’ Market is a year-round market on Sundays from 9 AM to 1 PM at Pike Park. Columbia Pike is full of great parks to hang out in: Penrose Park and Monroe Park are great for kids, Alcova Heights Park has great sports facilities, and Jennie Dean Park is 22 acres and has good picnicking facilities. What’s Nearby: Columbia Pike is north of Shirlington, northwest of Crystal City, and south of Court House and Clarendon. Why We Love Columbia Pike: It’s a neighborhood with great access to the region, tons of nearby parks, housing that is actually affordable, and good places to eat. It has a mix of military families, families with young children, and young professionals. And things are only looking up for Columbia Pike– with a new streetcar, the area will become a major regional destination, and it’ll feel a little less far away from the District. But you don’t have to wait until then, as there’s new development happening in the area now, and there are already great places to hang out. So hop on the bus and take a trip out to Columbia Pike– it’s definitely worth a visit. I would welcome a Pike streetcar line, as I would be able to use it. I’m just not holding my breath right now. And yet you fail to mention Bob & Edith’s diner? For shame, Shannon. ;) Best breakfast in NoVA, hands down. 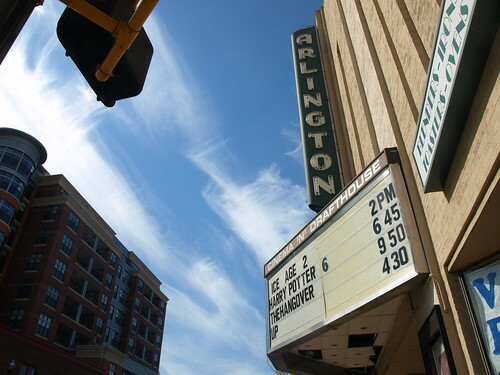 holy crap how many more arlington “where we live” are there going to be? @Mike: there were 22 on DC, and there have only been 5 each on Maryland and Virginia. If you have suggestions for areas that have not yet been covered, but are within the area served by Metro, and which have both residential and commercial districts, and ideally some bloggers to profile, Shannon would probably appreciate the suggestions. Geez, you fogot to mention the Cash Depot, the used car lots, the vacant storefronts, the potholes, a street so narrow that a trash truck clipped a school bus and killed two kids, retail devoid of most type of stores that people actually use (so local residents have to leave the County to shop), the den of crime and inequity down by the 4-Mile run crossing, the gridlock where Columbia Pike enters Fairfax Country and the lack of parking and never mind the rats roaming the dumpsters behind the eateries — that all is just for starters. Oh, but don’t worry, a streetcar will change everything. 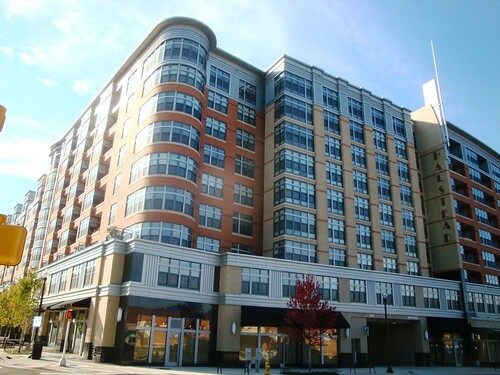 Columbia Pike has some great Art Deco buildings – including the Halstead (first picture), which is a brand new building built in the same style. Let’s Be Free: Lets be fair. Any area that was neglected as long as the pike was has issues. However it is in the middle of being fixed. As for negative morons like it would be better to just shut up. See if you can still hold the same negative view in say five years. I think the better question is do you live near the pike? The Halstead (left side, Picture 3) and Siena Park (picture 1) are the new Art Deco buildings that have brought a new life into the area. Bob and Edith’s is a MUST include, as anyone who has needed some energy after 3am will attest. It’s almost a rite of passage for moving to the area. That said, there are plenty of areas up and down the Pike that need to be cleaned up, including the CVS and the McDonalds/7-11 areas on the Inner Pike (inside of Glebe) and the aforementioned 4 Mile Run intersection on the Outer Pike. Regardless – things are continuing to improve – The Adams Square rebirth (end 2010) with Giant’s return will bring additional life – ala Pentagon Row, and the Trolley will bring the entire Pike together in a way that the “16″ line really hasn’t been able to accomplish. Great rundown of my neighborhood – it’s more walkable than people realize and I’m looking forward to see what else there is in store. We’ve lived on the Pike for 6 years now. Thanks for writing about our neighborhood! 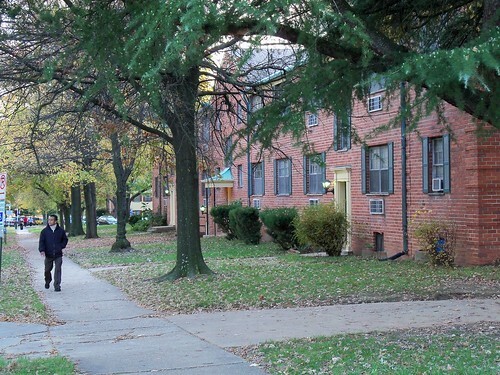 Our favorites that weren’t mentioned: Thai Square, Rappahanack, Kabobs Inn, Walter Reed Community Center. Also, it’s so easy to drive into the city — 10-15 minute, no traffic. Even during traffic, it’s easier to get into the city than if driving from North Arlington. Too bad they were never used.